If you’re sourcing ribbons for a new Thermal Transfer Printer, thermal transfer labels, on their own, or for stock replacement, we offer the highest quality, premium thermal ribbons that are thoroughly tested to ensure the best possible printing results for all applications. 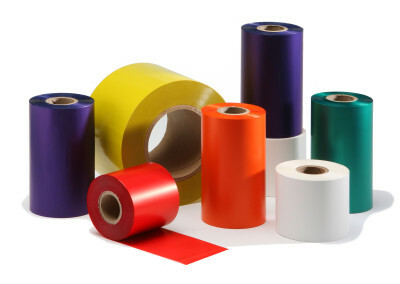 With our extensive knowledge of the TT Printer and Ribbon market, we can offer ribbons for any printer for use on a wide range of substrates and will ensure that you are provided with the correct one for your application. 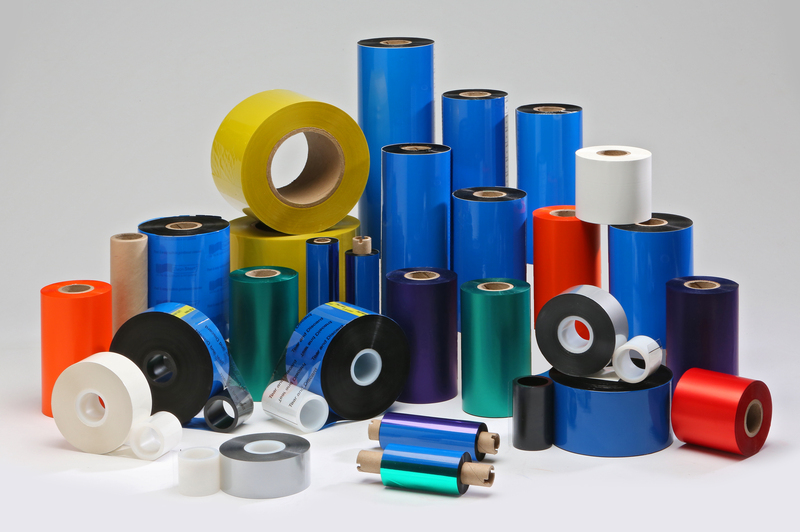 Our range of thermal transfer ribbons are available for all auto-ID labelling requirements, ranging from standard general-purpose wax to high-performance resin ribbons for more technical application. Datamark UK supply ribbons from Armor and other key manufactures. The majority of ribbons supplied by Datamark are of course black, but we are able to offer a wide variety of coloured ribbon including red, green, blue, brown, grey, orange, gold and silver. 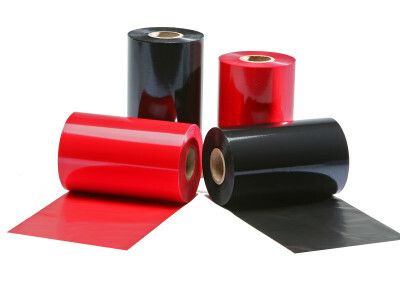 The three main types of Thermal Ribbon are – wax, wax/resin, and resin with each one having it’s own different pros & cons. It’s vital to select the correct thermal transfer ribbon for your printer, to ensure that the label fits your requirements. This could be durability, speed, the type of label stock you aim to print on and, of course, cost. Datamark UK have now launched our own branded range of Thermal Transfer Ribbons offering a wide range of quality products over a wide range of Ribbon Grades and Colours. Have a look at our range below, or if you’d like some advice on which product is best for you then give us a call or drop us an email, our details are at the bottom of this page. 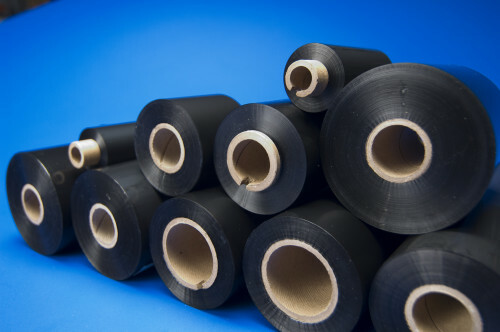 Datamark are proud to announce our new range of ‘Own Brand Thermal Transfer Ribbons’, which we feel provides an in depth variety of product to suit most applications today. To get further information click on the image above the Ribbon Description to open the relevant Data Sheet, which can then be printed or saved to your hard drive. Wax ribbons are generally the most economical. 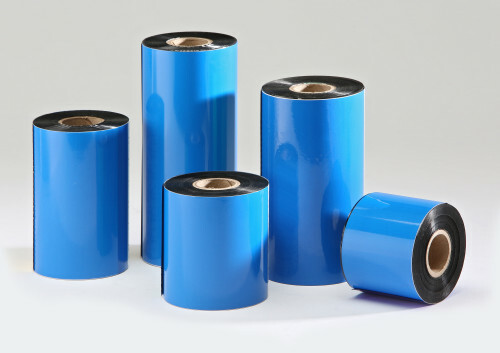 They are suitable for printing on normal paper and board surfaces for a wide range of standard tag and label applications with various uses including warehousing, shipping and retail that are not going to be exposed to adverse conditions or a lot of contact. Ideal for where the end use is for identification purposes only and the label is destroyed with the product packaging. 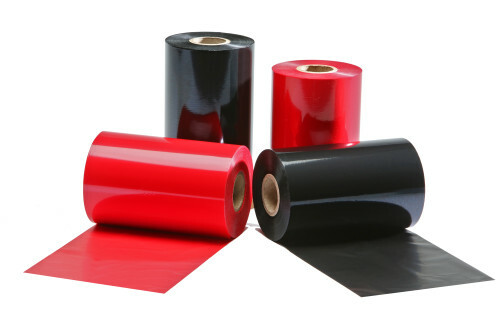 Wax/Resin Ribbons generally have more durability and are able to be effectively used on a wider variety of surfaces, including glossy labels, or labels that may be exposed to moisture. They offer a higher level of scratch and smear resistance and offer good mild chemical resistance. Coated paper tags and label face materials, a range of polyester labels and cheaper films can also be printed successfully with premium wax/resin ribbons. 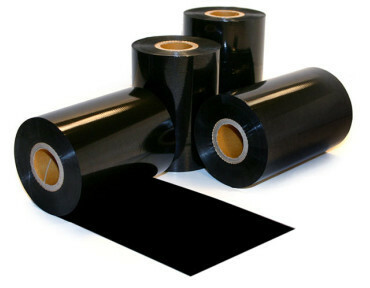 Resin is the most expensive type of thermal ribbon, which is best suited for both printing in harsh conditions and providing labels requiring resistance to heat, abrasion, water and/or chemicals. 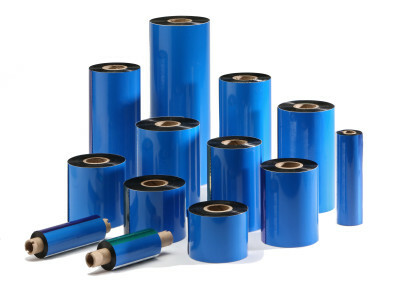 If your application includes either electronics, automotive, pharmaceutical, any industrial work in progress or chemical drum labelling, then resin is clearly the best choice to ensure your requirements are met. 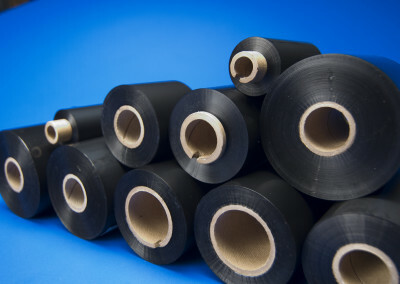 Resin ribbons are compatible with quality synthetic films giving exceptional print robustness and readability. We also promote the use of Versawipes to keep your printhead, platten rollers and label sensors in optimum condition. The printhead is the most critical component of your printer and one of the most delicate and expensive. Most print quality problems are a direct result of improper care of the printhead. A consumable that wears over time, much like the brakes on your car, requires proper installation and on-going maintenance to ensure a long life of service for your printer. Click here for further details.